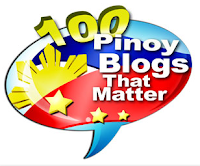 Home BELA PADILLA COCO MARTIN LOVETEAMS MAJA SALVADOR TELEVISION Maja Salvador or Bela Padilla: Who do you like more for Coco Martin in 'Ang Probinsyano'? 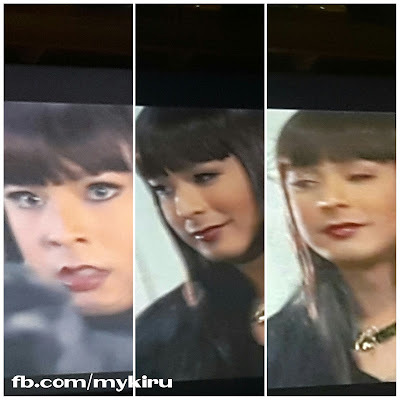 Maja Salvador or Bela Padilla: Who do you like more for Coco Martin in 'Ang Probinsyano'? I conducted this informal poll on Twitter about 'Ang Probinsyano' lead stars, asking them to pick who they like more for Cardo (Coco Martin) between Glen (Maja Salvador) and Carmen (Bela Padilla). 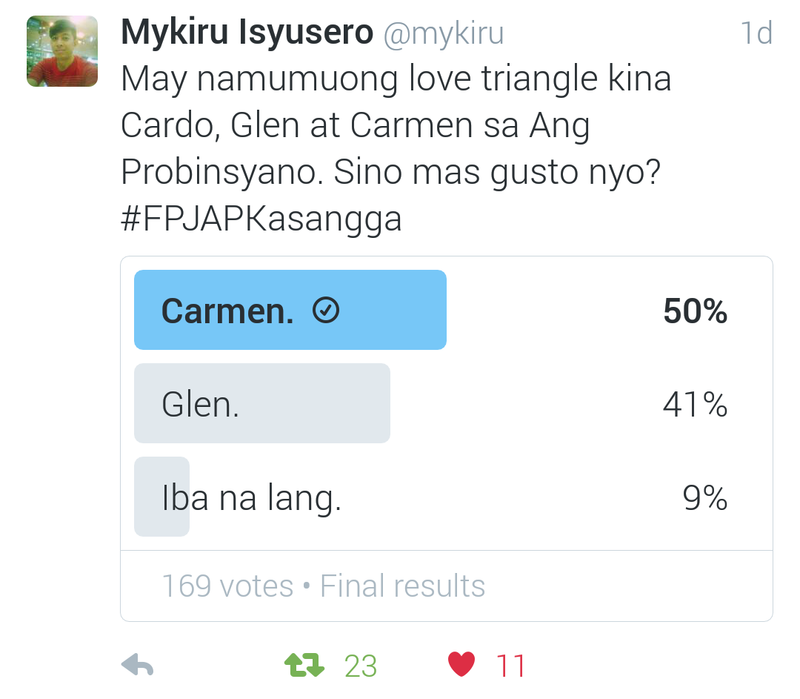 And surprisingly, the majority want Carmen more than Glen for Cardo. 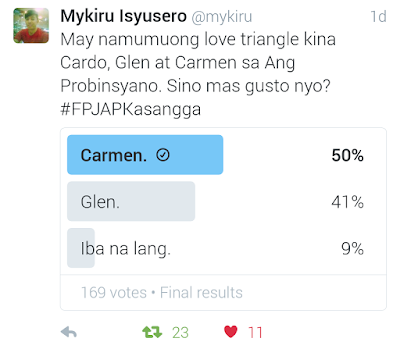 50% voted for Carmen, 41% for Glen and the remainder, 9%, want someone else other than the two ladies. It actually surprised me that Carmen won in the poll. I thought it was Glen, by a wide margin, because Coco and Maja already have a loveteam, CocoJam, since they first teamed up for 'Nagsimula Sa Puso' and then in 'Minsan Lang Kita Iibigin'. We'll see how the story of 'Ang Probinsyano' will go, especially now that many also want a romantic angle between CarCar (Cardo and Carmen), and as the poll suggests, they want it more than CarGlen (Cardo and Glen). But this one excites me more.